Fortress Of Freedom Board :: View topic - TWENTY6HUNDRED at the Atria in Oshawa April 4! TWENTY6HUNDRED at the Atria in Oshawa April 4! 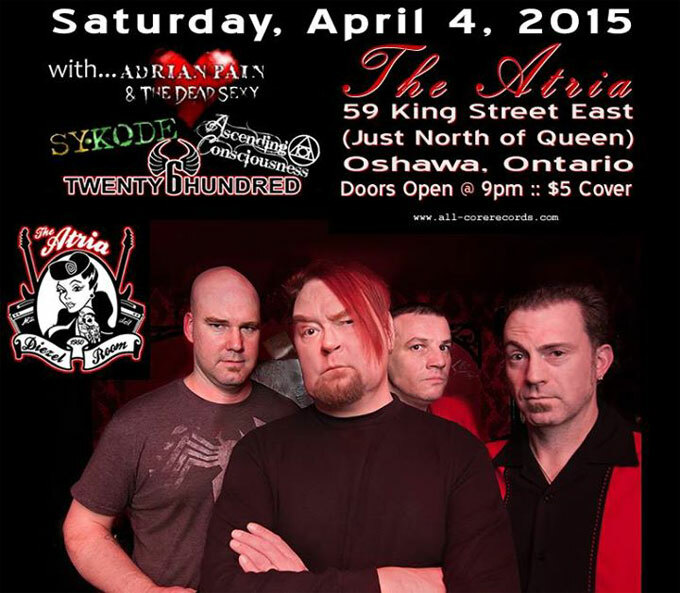 Posted: Sat Mar 28, 2015 6:05 am Post subject: TWENTY6HUNDRED at the Atria in Oshawa April 4! By Shane Murphy, A&R: Fortress Of Freedom Inc. / FOF RECORDS Inc.
Twenty6Hundred will be performing at the Atria (59 King Street East, Oshawa) on Saturday April 4, 2015! Come check out the band and their latest album Electric For All as they rock Oshawa as only Twenty6Hundred can!